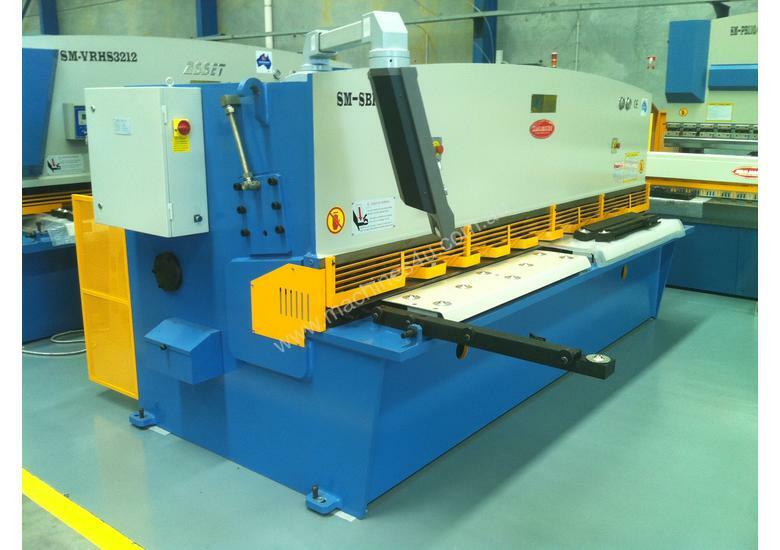 Our feature packed hydraulic guillotine offering all the modern day add ons so you wont be left short. Combining precision ballscrew swing away back gauge, 250mm deep side throat, quick action blade gap setting - and a very attractive price. 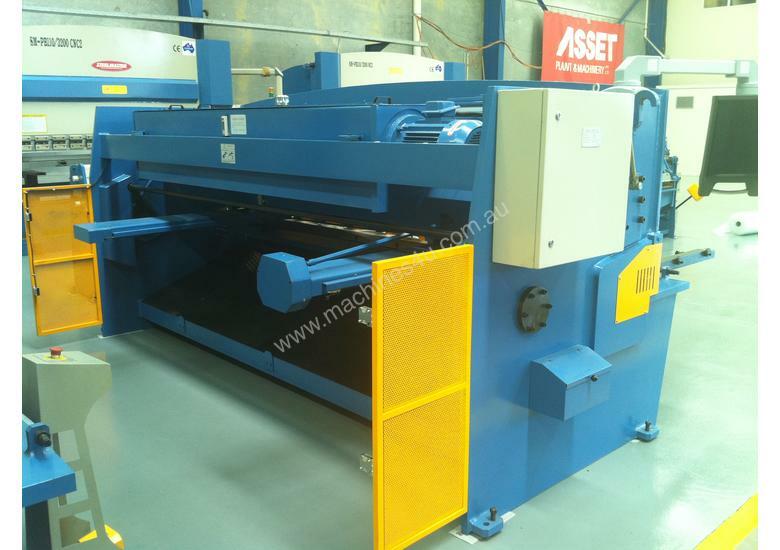 We can also supply models up to 9000mm in length & cutting capacities up to 30mm plate thickness on request. • 3200mm x 12.5mm Heavy Duty Capacity. • Ball Screw Power Operated Backguage. • Quick Action Blade Gap Setting. • Hydraulic Individual Clamping Jacks & Rear Guards. • Calibrated Squaring Arm & Sheet Supports. 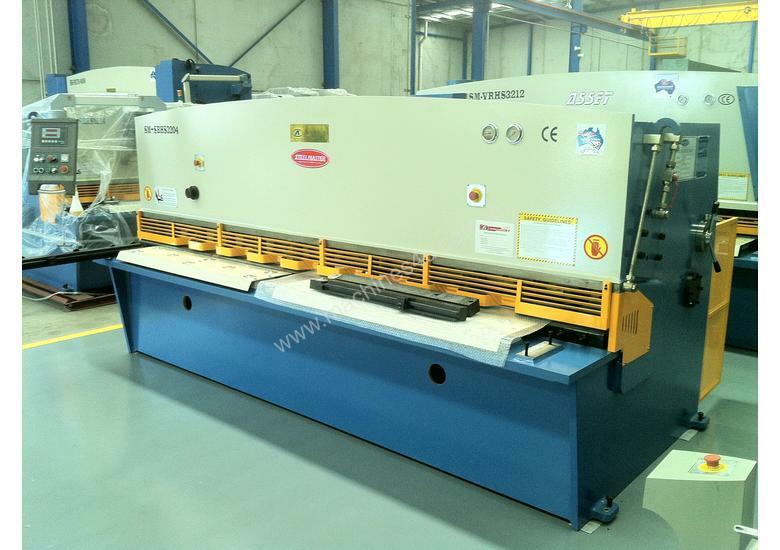 • Foot Pedal Operation & V.
This model can also be offered with Rear Pneumatic Sheet Support System as well if required. 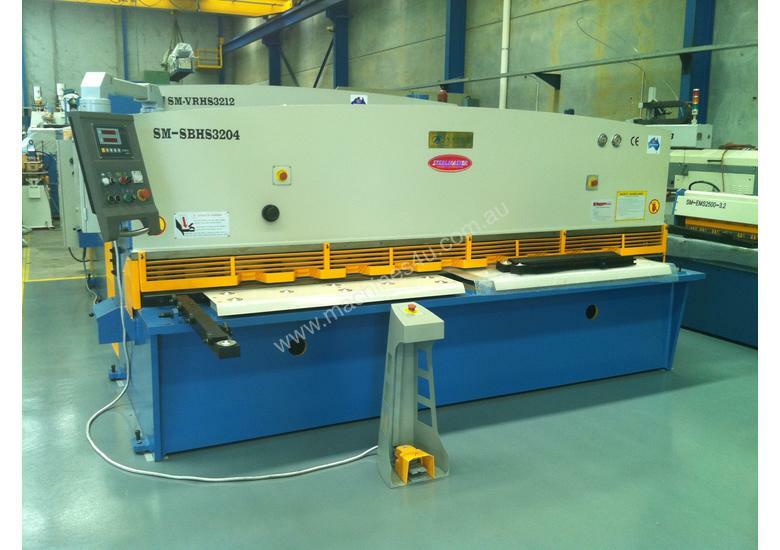 SM-SBHS4006 4000mm X 6.5mm Heavy Duty Model. 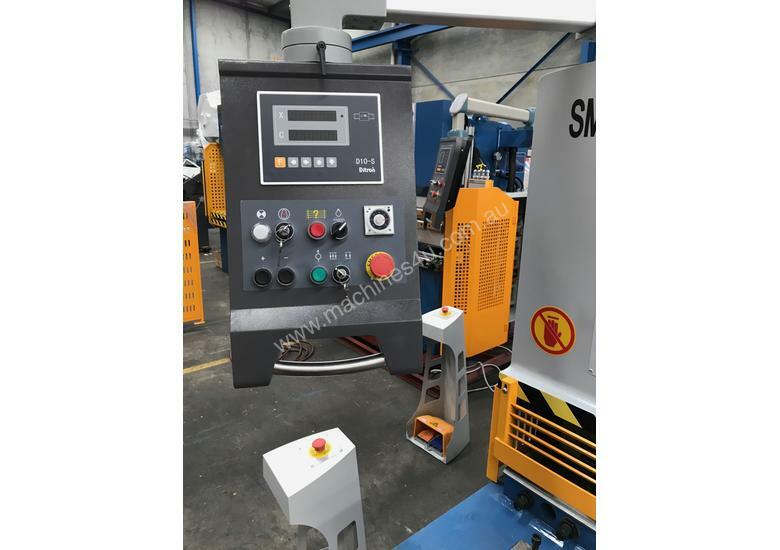 SM-SBHS2504 2500mm X 4.0mm Heavy Duty Model. SM-SBHS4004 - 4000mm X 4.0mm Heavy Duty Model.